Single-family homes and condos may dominate the housing market, but there are other options out there—even if they aren't what you'd expect when you think of a traditional home. These structures are trending as affordable options for those who are tackling debt and can't afford a conventional home, or for homeowners that just want to live a minimalist lifestyle. Unlike trailer homes, tiny houses don't need to be mobile. They can be built on a slab foundation just like a regular home. They also tend to have better construction than a mobile home, and focus on optimizing the space as much as possible for energy efficiency. Prices can range depending on whether you're building the structure yourself or if you're purchasing a custom-built home. Do-it-yourself-ers can expect to spend anywhere from $100 to $300 per square foot. If you're looking for a turnkey home, expect to pay anywhere from $30,000 and up. Using a tiny house as your primary residence comes with added restrictions. You will have to check building and zoning codes for minimum square footage requirements. If you decide to make it mobile, it will most likely be considered temporary housing, which can be taxed differently and have different building codes. 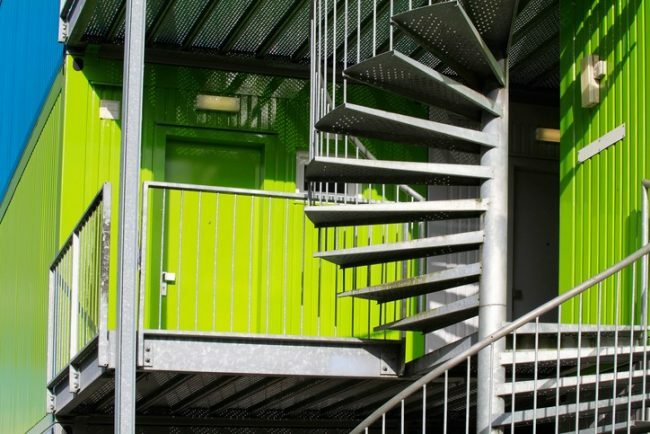 Shipping containers are generally stronger than your typical mobile or trailer home because they are made of steel, the corner posts are heavier and the structure can hold a larger load. These structures also range in price depending on square footage. According to ContainerAuction.com, containers large enough to be considered a living space—about 20 feet—typically start around $2,500. Keep in mind that this is just the price for the container itself. Remodeling the space into a home can cost upwards of $20,000. Or, you can buy assembled container houses for as low as $15,000. Even Amazon is in the shipping container industry, selling a completely move-in ready, 320-square-foot home for $36,000, with a $4,500 delivery fee. These are a little newer to the housing industry, and so finding information on building codes can be tough depending on your area. To be safe, have your building plans looked over by the appropriate authorities and check if these structures can be built on land in your area in the first place. As this is considered in the same vein as a mobile home, it will likely be taxed the same way in your state. These are modern adaptions of housing structures once used by Central Asian nomads. They are typically circular, portable and have an accordion lattice wall, making them lightweight and sturdy. They're typically one room that ranges from 400 to 800 square feet. You can split it up into separate spaces to make individual living spaces like a kitchen, bathroom and living room. You can even build a loft inside or add on a deck for outdoor entertaining. According to The Yurt Store, building kits can range anywhere between $5,000 and $17,000 depending on the size; however, if you're looking to purchase one that's already been built and is move-in ready, expect to pay over $100,000. It may be difficult to get loans for these structures due to their unconventional nature. And the same goes for insuring yurts, so proceed at your own risk. You'll also have to check on whether a yurt is considered a temporary, permanent or semi-permanent structure for tax purposes. 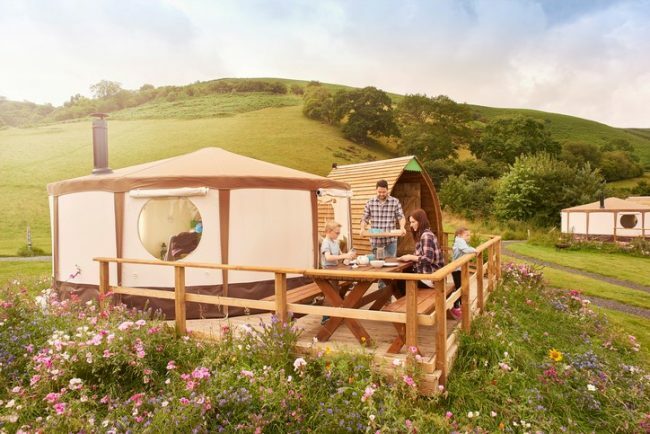 Just remember, each state has its own building regulations when it comes to yurts—even if they are only being used as a workspace instead of a primary living space. Check with your local building department, planning department and health department before purchasing a yurt. You may have to look into things like insulation, wind resistance and fire retardation to keep your yurt up to code. All of these homes are great ways to reduce your carbon footprint and save money at the same time; however, they are more of a hassle when it comes to building and zoning, so tread carefully. While they may be cheaper, a traditional single-family home or a condo unit may be a safer investment when it comes to resale value. Check with your local real estate agent to go over options. So, what would you rather live in? 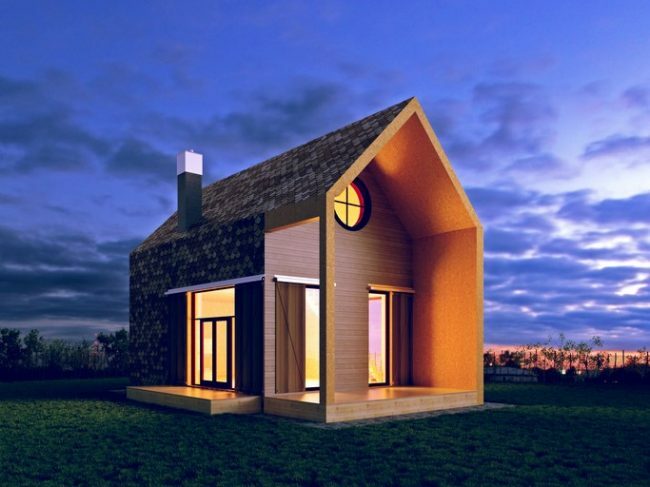 Trendy tiny home or traditional single-family home?